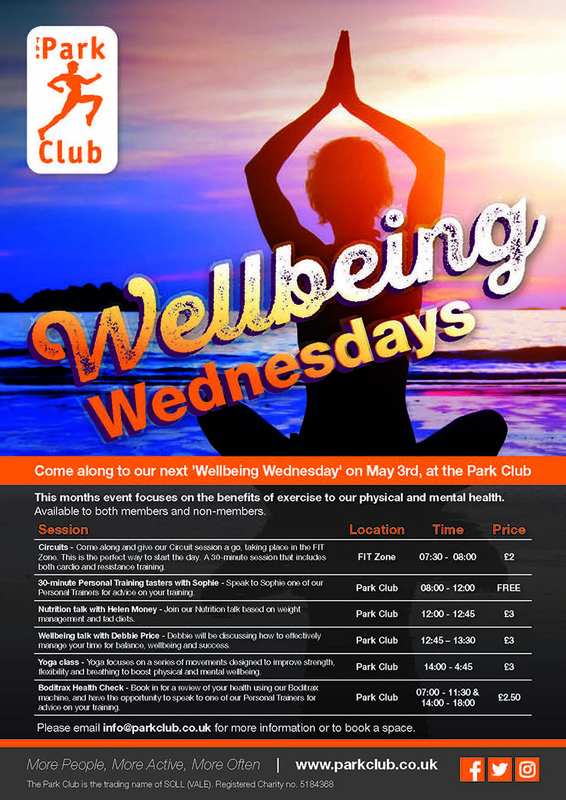 Milton Park and the Park Club are hosting the monthly ‘Wellbeing Wednesday’ on 3rd May at the Park Club, Milton Park. This months event focuses on the benefits of exercise to our physical and mental health. Circuits - Come along and give our circuit session a go. Taking place in the FIT zone. This is the perfect way to start the day. A 30-minute session that includes both cardio and resistance training. 30-minute Personal Training tasters with Sophie - Speak to Sophie one of our Personal Trainers for advice with your training. Nutritional talk with Helen Money - Join out Nutrition talk based on weight management and fad diets. Wellbeing talk with Debbie Price - Debbie will be discussing how to effectively manage your time for balance, wellbeing and success. Yoga class - Yoga focuses on a series of movements designed to improve strength, flexibility and breathing to boost physical and mental wellbeing. Boditrax Health Check - Book in for a review of your health using out Boditrax machine, and have the opportunity to speak to one of our Personal Trainers for advice on your training. For more information please download this handout.